Art has been my passion since the earliest days of my childhood. Since no classes were available in my small town, I did the best I could to study on my own. As high school graduation approached, and despite warnings from my counselor that I didn't have much chance, I sent my portfolio of car sketches to the Art Center School, and to my amazement was accepted. My dreams were about to become real. The fast lane in Los Angeles was a total cultural and artistic awakening for this country boy. The astounding skills of the professors and students was at once both terrifying and exhilarating. I was totally absorbed in this wonderful learning experience. Sadly though, after completing just two semesters my dream was interrupted by the cold reality of financial hardship. I just couldn't afford to continue. So it was back home to a local college instead, where I hoped to work part-time and eventually return to Los Angeles. Opportunity knocked once again when I was asked to paint an aerial view of the yet-to-be completed campus. This project became the school's orientation map for many years to follow. The success of this work helped me to get a summer job with an architectural illustrator who became my mentor and later my business partner. My direction had changed but the desire to create art only increased. Needless to say, I got my education on the job, and it was the best I could have hoped for. With a firm foundation in art and business, and with many good years of practical experience, I now have made the transition from illustration to fine art. 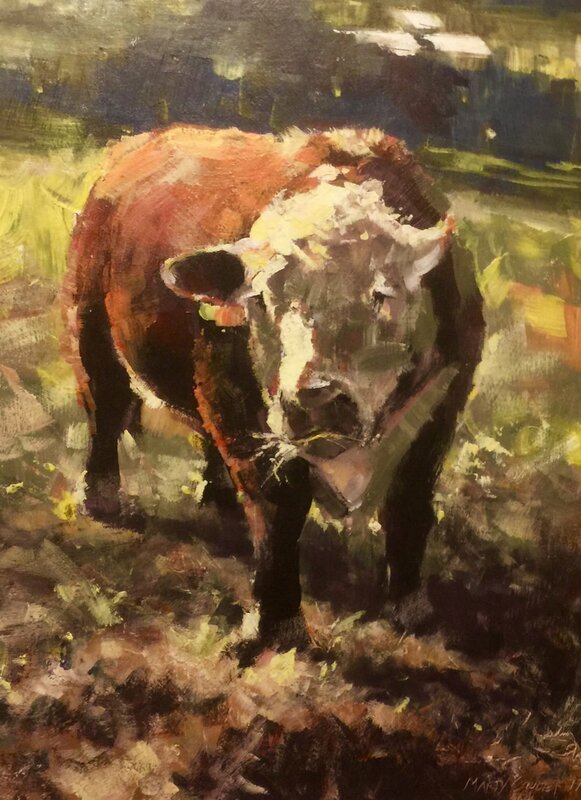 While I pursue portraiture and still dabble on occasion in car art, my focus has been primarily painting plein-air landscapes of my Missouri surroundings. In the past few years I've made substantial progress with representation in several local galleries and more than a few awards. As I continue to work harder and set out goals to accomplish, the future only looks brighter each day as I realize the blessings of freedom and energy God has given me through the pursuit of art.